A family holiday is probably one of the biggest family expenses after the mortgage or rent. There are many advantages to travel and for many it is the highlight of a year. There are some super easy money saving travel hacks that will help you save money on this big spend. Before you even think about booking your holiday research where you want to go. Netflights have put together a really handy Cost Calculator. You input your monthly spending habits to find out how your lifestyle compares in other locations around the world. This can help you choose a location based on how much you want to spend. Secondly book in advance, it used to be that last minute deals got the best offers but this has switched and now in recent years booking early offers the best savings. April see’s the release of next year’s summer holidays and so you could be booking now for next year. This is especially important when looking for free child places or if you have a larger family. Thirdly book car parking in advance, never just turn up unless you want to pay premium rates we have used Holiday Extras they take the hassle so you take the holiday. Holiday extras offer airport parking and hotels before travel for good rates. If you plan on eating at the airport consider an airport lounge as they have snack and drinks included in the price. We all know food places are expensive at airports and we have actually fared better using airport lounges that we have prebooked. Check your school dates really carefully. We all know you risk a fine if you take your child out of school but check when inset days and term dates finish. Because different areas have different term dates you may get lucky especially if you can catch the flight from a regional airport when they are still on term time. I benefited by taking Chloe for a post GCSE break before the rest of the schools broke up. I got us a 5* holiday for two, fully inclusive for under 1K, the same break costs well over 1K per person just a few weeks later! Next consider whether fully inclusive will really work for you. For those with young children fully inclusive may seem convenient but it is expensive if children don’t eat or drink much. For those with older children and teenagers it may be a good option as they eat all day! Finally you don’t need to go abroad to have a holiday. 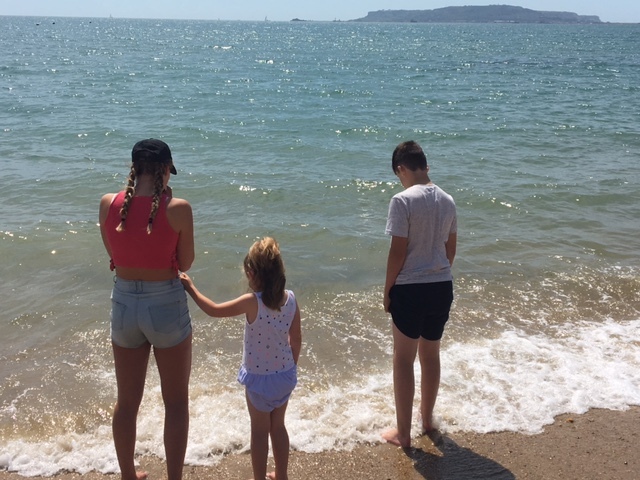 We have had a couple of wonderful breaks in the UK recently including Hawkchurch Spa and Resort and also Waterside Holiday Park in Weymouth. What do you think? How else can you save money on travelling?